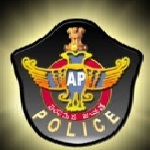 Andhra Pradesh Police Constable recruitment 2016-17 apply for 494 posts: State level police recruitment board, Andhra Pradesh Police invites application for the position of 494 stipendiary cadet trainee police constable (Communication) vacancies. Candidates who completed their SSC is a good opportunity.The individuals who are the occupation seekers searching for govt employments in Andhra Pradesh this is the best chance to apply. Competitors read the official notification then read all the guidelines and miners precisely then apply before the last date online application got. All the interested and eligible candidates can apply online before 1st October 2016. All the Eligible and Interested Aspirants can apply online on or before 1st October 2016. The details regarding this Recruitment, Educational Qualifications, Age Limit, Pay Scale, and Selection Procedure are available at the official website .This is the precious opportunity for those candidates who are eagerly waiting and preparing hardly for Central Govt jobs. The age of the candidate should not be less than 21 years and should not be more than 30 years. The age of the applicant should be as on 1st July 2016. Candidates should have SSC and must possess industrial training institutional certificate in electrical mechanic or information technology and electronics system maintenance or computer operator and programming assistant or mechanic computer electronics or electrician. Candidates are required to pay application fee Rs 300/- for OC categories candidates / BC categories candidates and Rs 150/- for schedule caste categories candidates (SC) / schedule tribe categories candidates (ST) towards application processing fee and examination through Mee Seva (e-Seva) / AP online / RS online in the favor of Chairman, state level police recruitment board, Andhra Pradesh. Candidates may apply online through official website of State level police recruitment board, Andhra Pradesh Police recruitment.appolice.gov.in from 7th September 2016 to 1st October 2016. Important Dates: Starting date for the submission of online application is 7th September 2016. Last date for the submission of online application is 1st October 2016.